It's late, I've been writing and editing for Knot So Subtle, and I didn't write a post here tonight. So instead, as the day winds down here in Baudelairistan, I leave you with this. 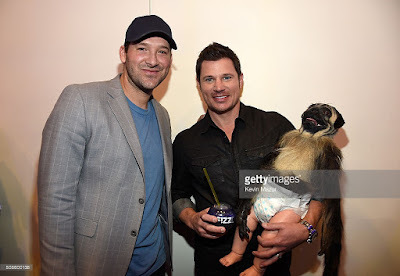 Yes, this is a picture of Tony Romo, Nick Lachey, and creepy media sensation Puppy Monkey Baby.